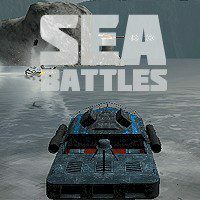 Sea battle is not a joke, so you have only one chance to complete the mission. Lock your cursor on the enemy and destroy it. Are you ready for some sea fights? This battle could become the last one for you. Make sure that you kill enough enemies and complete the objective to start another challenging mission.